Episode 53: Days of the Dead Indy 2015! 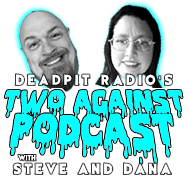 This time Dana and Steve check out the new blu-ray Werewolf Woman (woof) and a late 1980s sleaze Perfect Victims, and spend a day at Days of the Dead 2015 in Indianapolis, get out verdict on the con.! This time Dana and Steve check out the new blu-ray release from Grindhouse Releasing, is it worth owning? Does it make us hungry for extra juicy pulled pork? Listen and find oot! 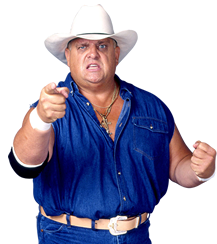 Uncle Bill and CK return this week to discuss one of our favorite professional wrestlers of all time that passed away this past week: Dusty Rhodes. Also the hillbilly horror club talk Sir Christopher Lee's death, The Mutilator on DVD/Blu-Ray, The Jurassic Park Films, Uwe Boll's 'Rampage' on YouTube and much more!! 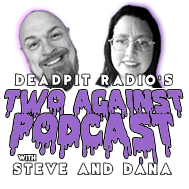 The Dastardly Duo return for a show that no one will ever forget, a large majority of the show consists with a Pop culture dissection of some of the latest 'Bizarro World' news stories, and the thrillbillies attempt to make sense of it all. 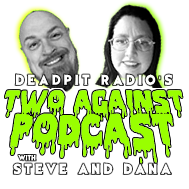 PLUS a warm discussion on the late great Betsy Palmer, some horror news and Whats The Haps for the 2015 Fright Night Film Fest in Louisville KY...all of this and MORE this week on DEADPIT Radio!!! This time Dana and Steve go see Mad Max Fury Road and check out new blu-ray release of Madman from Vinegar Syndrome.